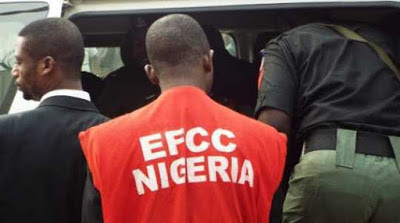 The Economic and Financial Crimes Commission has arrested a Dubai-bound Nigerian, Yasir Salihu Abdullahi who had in his bag, 849 Automated Teller Machine cards of various Nigerian banks. The EFCC snoopers have begun interrogating the man to find out how he came about the cards and the reason he was taking them out of the country. Abdullahi was arrested at the Malam Aminu Kano International Airport on Friday August 3, as he prepared to board an Egypt Air flight heading for Dubai, United Arab Emirates. He was intercepted after a scan of his luggage by officers of the Nigeria Customs Service revealed the suspicious items. The officers then alerted the EFCC’s office in Kano. Operatives of the Commission discovered that the suspect had 490 Guaranty Trust Bank ATM cards, 287 of Access Bank, 49 of Eco Bank, 10 of UBA, six of Stanbic IBTC Bank. He also had on him 4 ATM cards of Zenith Bank, and one each of Sterling Bank, Standard Chartered Bank and First City Monument Bank. The EFCC did not state whether all the cards were issued in the suspect’s name. Another suspected fraudster, Ma Yongbin alias Suleiman Yunusa, a 46-year- old Chinese National was also arrested on August 3 by Aviation Security at the Malam Aminu Kano International Airport as he tried to board Egypt Air to China. He was arrested at the Baggage checking point where he was found to have in his possession the sum of N305, 000 (Three Hundred and Five Thousand Naira ) in N5 denomination. He was eventually handed over to the commission for further investigation. The two suspects have made useful statements. They have also been granted administrative bail while investigations continue.